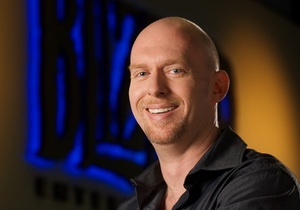 LOS ANGELES, CA--(Marketwired - Feb 25, 2016) - UCLA Extension announces Frank Pearce, Chief Development Officer of Blizzard Entertainment, will deliver the keynote address at the Technical Management Program (TMP), March 20-25, 2016, Covel Commons, UCLA Campus. This is the 60th year of the program, which gathers technical professionals from multiple industries for dynamic sessions on strategy, project management, and leadership. Pearce co-founded Blizzard Entertainment with Mike Morhaime and Allen Adham in 1991 and has played a critical role in the creation of Blizzard's landmark entertainment properties. He originally served as a programmer on the company's early console games, including The Lost Vikings™ and Blackthorne®, as well as several of Blizzard's foundational PC games, such as Warcraft® II: Tides of Darkness™, Diablo®, and StarCraft®. Pearce later served as executive producer on multiple expansion packs for World of Warcraft®, as well as on StarCraft II: Wings of Liberty®, Diablo III: Reaper of Souls®, and more. In his current role as chief development officer, Pearce oversees the development teams responsible for all Blizzard games, including Heroes of the Storm®, Hearthstone®: Heroes of Warcraft, and the company's upcoming team-based first-person shooter, Overwatch™. He holds a Bachelor of Science degree in computer science and engineering from UCLA, and is a past attendee at TMP. "With technology continuing to move at a rapid pace, there are no rules when it comes to tackling problems creatively," said Pearce. "We've seen our fair share of tech challenges and opportunities at Blizzard, and I'm thrilled to share some of our learnings at this year's TMP." The program offers sessions with well-known industry leaders who focus on such topics as Strategic Thinking and Planning for Leaders; Leadership: Practical Skills of Influencing Others; People, Power and Projects: Managing the Human Dynamic; Emotional Intelligence: Leading and Working and more. Instructors in these sessions feature noted authors of books on project management and leadership. They include Terry D. Schmidt, MBA, PMP, Founder, ManagementPro.com; Partner, Centre for Strategic Management, Seattle, Washington, and Robert Maurer, PhD CEO and Founder, The Science of Excellence. For a list of instructors, see here. TMP has supported managers in technical fields, from engineering, IT, aerospace, communications, gaming, and pharmaceuticals. The weeklong program presents customized and interactive sessions of best practices and fresh perspectives in business and offers attendees great networking opportunities. To date, more 15,000 professionals are alumni of TMP at UCLA Extension, which was started in 1955 by UCLA Professor Ralph M. Barnes as the Engineering and Management Program. The March 20-25 schedule meets daily, 8am-6pm, with four-period formats on different topics to allow intensive learning in a relaxed environment. The enrollment fee before February 20 is $3950, after is $4395. The fee includes materials, some meals, and parking. To attend TMP, please send your reservation to jlee@uclaextension.edu or call 310-825-3858. Engineering & Technology at UCLA Extension offers professional and continuing education courses and certificates in engineering, information systems, and technical management. Courses include aerospace, mechanical, communications systems, project management, IT (applications programming, database management, operating systems, web technology, and systems security), recycling, construction management, and more. Course formats are daytime, evenings, and online. Explore at uclaextension.edu.